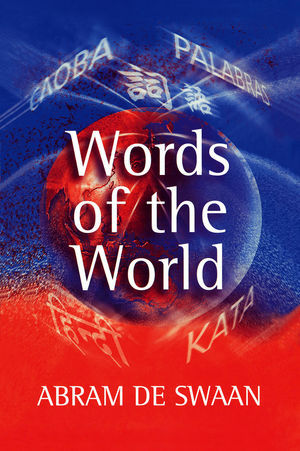 This bold and accessible study of human languages and communication explores issues which are at the forefront of today's globalized society. The human species is divided into more than five thousand language groups that do not understand each other. And yet these groups constitute one coherent world language system, connected by multilingual speakers in a surprisingly powerful way. The chances of a language thriving depend on its position in the system. There are thousands of small, peripheral languages, each connected to one of a hundred central languages. The entire system is held together by one global language: English. A language is a ‘hypercollective' good: the more speakers it has, the higher its communication value for each one of them. Thus, when people think that a language is gaining new speakers, that in itself is a reason for them to want to learn it too. That is why, in an age of globalization, only a few languages remain for transnational communication and these often prevail even in national societies. This important book discusses a number of specific constellations in detail: India, Indonesia, Sub-Saharan Africa, South Africa and the European Union. De Swaan concludes by providing a sober but illuminating view of language policy in multilingual societies. This book will be essential reading for those studying sociology, communication studies and linguistics. Abram de Swaan is Chairman of the Amsterdam School of Social Research (ASSR) at the University of Amsterdam.